1 How to activate Robi IMO Offer 2019 – 18TK@350MB Pack? 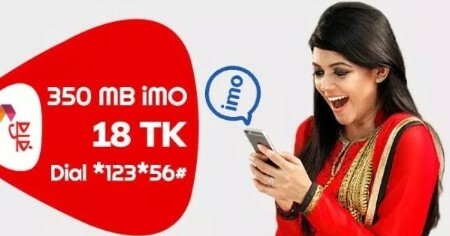 Robi 350MB IMO Internet Offer 2019! Hello Dear, Welcome to Robi 350 MB 18 TK IMO Internet Pack 2019 Activation Code, Validity, Uses Terms and Conditions Content. 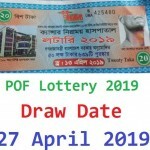 On the month of March, 2019 the Bangladeshi 2nd biggest telecommunication company “Robi” lunches a cheap rate IMO Package, whose name is Robi IMO Offe 2019 – 350MB @ 18 Taka. Under this offer, customers get 350 MB internet only for IMO App browsing with 28 days long validity at only 18 BDT. So, it is a very special offer for IMO users. If you are a Robi customers and searching a Robi IMO pack? This is the right place for you, because in this content, we will try to write full description about Robi IMO Offer 2019. So, staying with us and follow the below content. How to activate Robi IMO Offer 2019 – 18TK@350MB Pack? This is a very easy way to activate the Robi 18 TK 350 MB IMO Internet Offer. Just, go to Mobile Dial Option and Dial USSD Code *123*56#. After dialing USSD Code, you will received an SMS from ROBI, where you know offer details information. All the Robi customers are eligible to enjoy Robi 18 Taka 350 MB IMO Offer. VAT + SD + SC included in 18 Taka. Customers use this Robi IMO Package 2019 – 18 TK 350 MB IMO Offer under 2G/3G/4G network and only for IMO App. To check the remaining balance of Robi 350 MB IMO Pack, just Dial *3# or *8444*88#. The Validity of Robi 18 TK 350 MB IMO Package, 28 days.